Merchants is a lively three-floor restaurant situated in the heart of downtown Nashville on the corner of Broadway and 4th Avenue. The architecturally significant building dates back to 1892 and has a torrid history that mirrors the electric events that have shaped the personality and character of this downtown area. The street-level entrance of Merchants leads to a vibrant black and white bistro, often filled with a cross-section of local business men and women, tourists and those attending events in the downtown area. The bistro boasts quality cocktails, comfortable food, and impeccable service. The second floor of Merchants is open for lunch and dinner has a totally different vibe than the bistro. A little fancier and more upscale, it has a separate menu from the bistro. 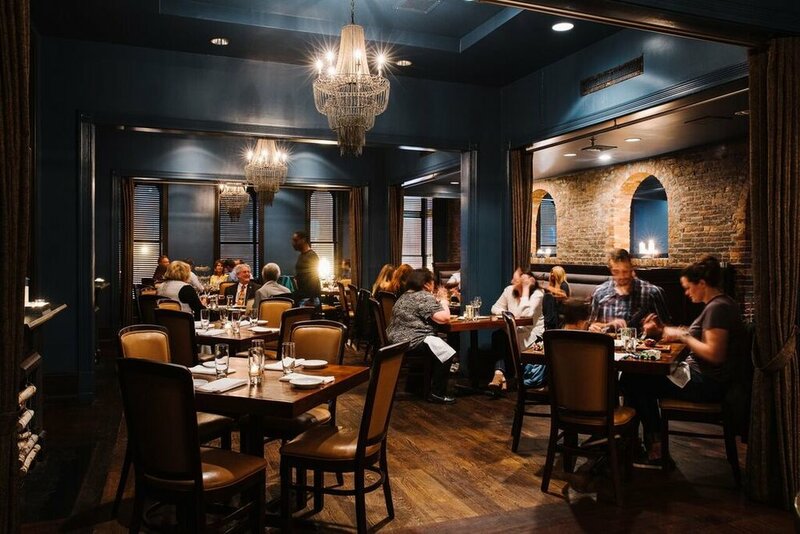 The dining room on the second floor offers more refined dishes, a more expansive wine list, and several top-tier steak options. 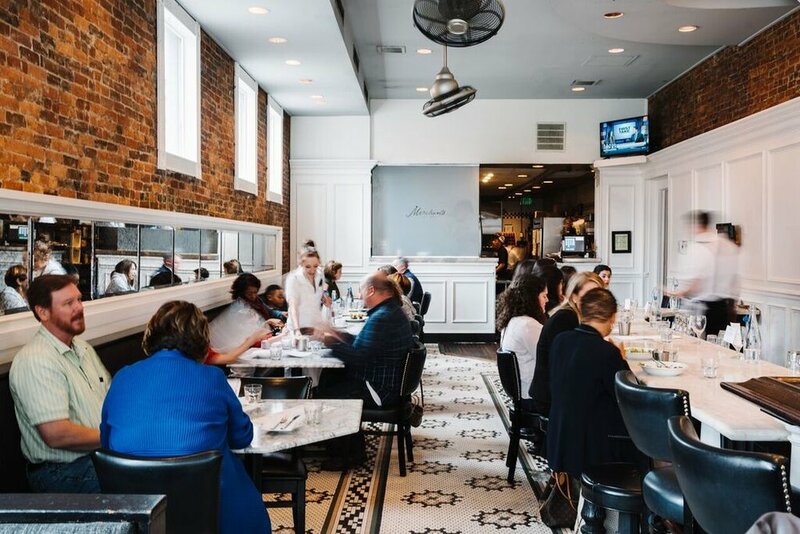 The third floor of Merchants is private dining space perfectly suited for rehearsal dinners, business dinners, cocktail events or any other reason to gather some of your closest friends together to enjoy company and sustenance.